This machine is of advanced one piece infrared accelerating burner which consists of the computer controlled pulse igniting system, the flame and temperature monitoring system and the rolling drums. The length of infrared waves released from the burning gas is 24 um whose heat reaches the highest infrared radiation value. The ideal infrared wave length is easy to be absorbed by molecules of ordinary substances. The object inside the rolling drum are being simultaneously heated from both sides which avoids the phenomenon that the surface of the objects is burnt while their inside undone. And thus the baking quality, color and flavor are guaranteed. 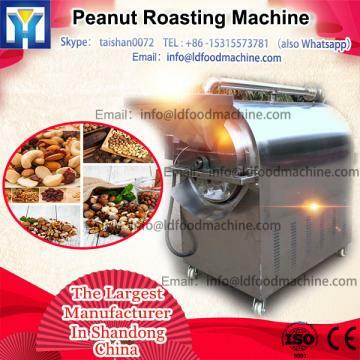 walnuts, peanut, almond, swallowing beans, coffee beans, melon seeds and other granular material .Using rotating drum, heat conduction, thermal radiation principle, according to customer's requirements designed to use coal gas, diesel, electricity as fuel.